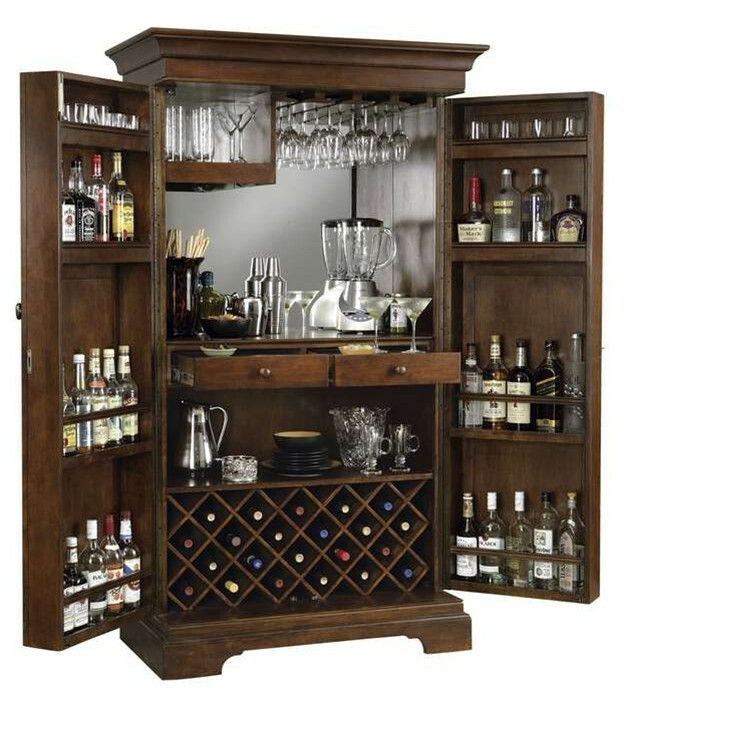 This is a big wooden cabinet for storing your liquor bottles. The part, with a criss-cross pattern, leaves gaps for each bottle. Above it you have a surface for decorative jugs and saucers and above this you have two drawers and a large surface for your liquor bottles, cups and blender among other things. Doors have steps for storage of more bottles.